Gritty, virile street scenes, tender portraits of humanity, iridescent landscapes: George Luks depicted early 20th century New York with astonishing versatility. 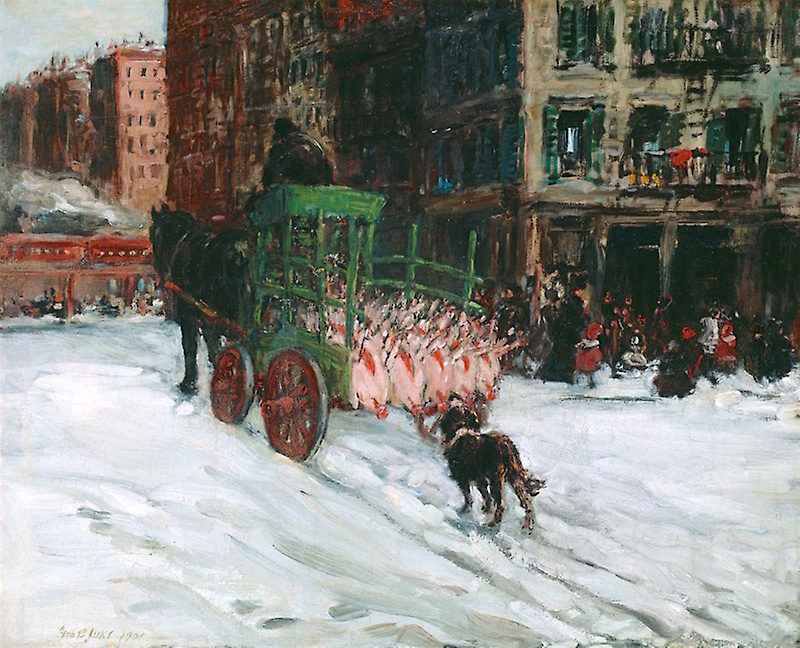 But if there’s one Luks painting that combines all three artistic strengths, it might be The Butcher Cart, which this social realist Ashcan artist completed in 1901. “George Luks is known for his unromanticized depictions of the slums and crowded market streets of lower Manhattan,” explains the Art Institute of Chicago, which owns the painting.